Freethought Day is held annually on October 12, by freethinkers and secularists to commemorate the anniversary of the effective end of the Salem Witch Trials. These were a series of hearings and prosecutions of people accused of witchcraft in colonial Massachusetts between February 1692 and May 1693. More than 200 people were accused, nineteen of whom were found guilty and executed by hanging (fourteen women and five men). One other man, Giles Corey, was pressed to death for refusing to plead, and at least five people died in jail. It was the deadliest witch hunt in the history of the United States. Twelve other women had previously been executed in Massachusetts and Connecticut during the 17th century. Despite being generally known as the Salem Witch Trials, the preliminary hearings in 1692 were conducted in several towns: Salem Village (now Danvers), Salem Town, Ipswich, and Andover. The most infamous trials were conducted by the Court of Oyer and Terminer in 1692 in Salem Town. The seminal event connected to Freethought Day and the ending of the Salem Witch Trials is a letter written by then Massachusetts Governor William Phips in which he wrote to the Privy Council of the British monarchs, William and Mary, on this day in 1692. In this correspondence he outlined the quagmire that the trials had degenerated into, in part by a reliance on “evidence” of a non-objective nature and especially “spectral evidence” in which the accusers claimed to see devils and other phantasms consorting with the accused. Note that, contrary to what has been claimed by some, there was no specific order or edict by Phips to ban “spectral evidence” from all legal proceedings. Rather, this was one concern that brought about Phips’ stopping the proceedings. At the 300th anniversary events in 1992 to commemorate the victims of the trials, a park was dedicated in Salem and a memorial in Danvers. In November 2001, an act passed by the Massachusetts legislature, exonerated 5 people, while another one, passed in 1957, had previously exonerated 6 other victims. As of 2004 there was still talk about exonerating all the victims,though some think that happened in the 19th century as the Massachusetts colonial legislature was asked to reverse the attainders of “George Burroughs and others”. In 2016, the University of Virginia announced its Gallows Hill Project team had determined the execution site in Salem, where the nineteen “witches” had been hanged. The city owns the site and is planning to establish a memorial to the victims. The 2007 event held at Waterfront Park started with a reading of the Phipps letter. Bands, speakers, bounce house and more, “It’s just a chance for us to show people we don’t have horns and tails” Mayer Heather Fargo issued a proclamation for Freethought Day in Sacramento. In 2016, the event was renamed “California Freethought Day” to reflect the growth of the event spanning the last 15 years. Several hundred attended in 2016, with the theme “#SecularPride”. National Farmer’s Day is observed annually in the United States on October 12th as a day for them and to pay tribute to the hard-working farmers throughout American history and to show appreciation Towards them for their contributions to the economy. Records of National Farmer’s Day events exist dating back to the 1800s. However, the exact origins of the day are unclear. It was previously known as Old Farmer’s Day. Farming is often known as Agriculture. This describes the cultivation of land and breeding of animals and plants to provide food, fiber, medicinal plants and other products to sustain and enhance life. Agriculture was the key development in the rise of sedentary human civilization, whereby farming of domesticated species created food surpluses that enabled people to live in cities. The study of agriculture is known as agricultural science. The history of agriculture dates back thousands of years; people gathered wild grains at least 105,000 years ago and began to plant them around 11,500 years ago before they became domesticated. Pigs, sheep, and cattle were domesticated over 10,000 years ago. Crops originate from at least 11 regions of the world. Industrial agriculture based on large-scale monoculture has in the past century come to dominate agricultural output, though about 2 billion people worldwide still depend on subsistence agriculture. The major agricultural products can be broadly grouped into foods, fibers, fuels, and raw materials (such as rubber). Classes of foods include cereals (grains), vegetables, fruits, oils, meat, milk, fungi and eggs. Over one-third of the world’s workers are employed in agriculture, second only to the service sector, although the number of agricultural workers in developed countries has decreased significantly over the past several centuries. There are some cities and towns across the United States that have their own versions of Farmer’s Day, with celebrations and festivals on various dates throughout the year. Many of them are held in September and October. October was chosen for celebrating this National Day as it is near the end of the harvest. Many farmers will be able to take a rest from their hard labor to join in the celebration of this holiday. 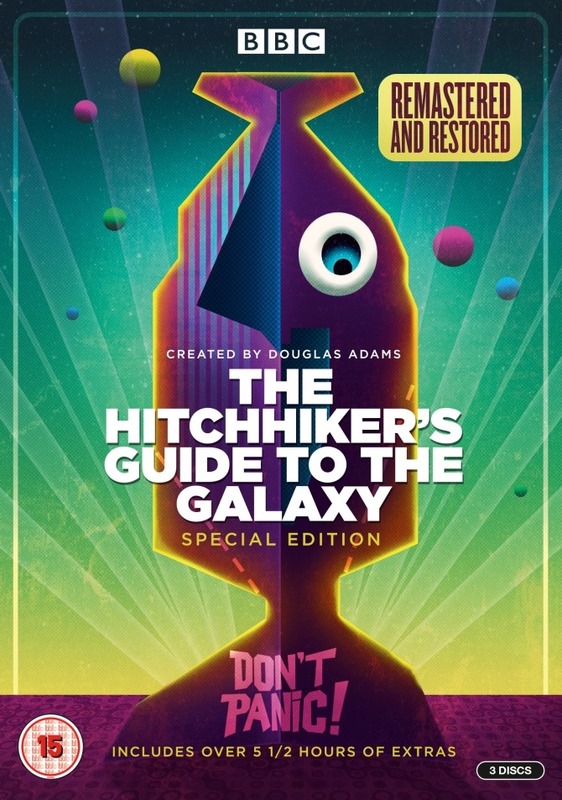 The first of five books in the Hitchhiker’s Guide to the Galaxy comedy science fiction series by Douglas Adams was published on 12 October 1979. The series follows the misadventures of Arthur Dent, a hapless Englishman, Ford Prefect, an alien from a small planet somewhere in the vicinity of Betelgeuse, who named himself after the Ford Prefect car to blend in, who is a researcher for the eponymous guidebook; Zaphod Beeblebrox, Ford’s semi-cousin and the Galactic President; the depressed robot Marvin the Paranoid Android; and Trillian, formerly known as Tricia McMillan, a woman Arthur once met at a party in Islington and the only other human survivor of Earth’s destruction. Following Earths destruction by the Vogons Arthur is rescued by Ford Prefect and they visit the legendary planet Magrathea, home to the now-collapsed planet-building industry, and meet Slartibartfast, a planetary coastline designer who was responsible for the fjords of Norway. Through archival recordings, he relates the story of a race of hyper-intelligent pan-dimensional beings who built a computer named Deep Thought to calculate the Answer to the Ultimate Question of Life, the Universe, and Everything. When the answer was revealed to be 42, Deep Thought explained that the answer was incomprehensible because the beings didn’t know what they were asking. It went on to predict that another computer, more powerful than itself would be made to calculate the question for the answer. However This computer, was the Earth, and was destroyed by Vogons to make way for a hyperspatial express route, five minutes before the conclusion of its 10-million-year program. Two of a race of hyper-intelligent pan-dimensional beings who commissioned the Earth in the first place, disguised themselves as Trillian’s mice, and want to dissect Arthur’s brain to help reconstruct the question, since he was part of the Earth’s matrix moments before it was destroyed, and so he is likely to have part of the question buried in his brain. In the next novel “Life, the Universe and Everything” , Slartibartfast, enlists the aid of Ford, Arthur, Marvin, Zaphod and Trillian to prevent the people of the planet Krikkit from escaping their home planet, on which they have been imprisoned for trying to start a Galactic War and prevent them starting another Galactic War which will wipe out all life in the Universe. In the next novel “So Long, and Thanks for All the Fish”, Arthur returns home to Earth, where He meets and falls in love with a girl named Fenchurch, and discovers this Earth is a replacement provided by the dolphins in their Save the Humans campaign. Eventually he rejoins Ford, who claims to have saved the Universe in order to hitch-hike one last time and see God’s Final Message to His Creation. Along the way, they are also joined by Marvin, the Paranoid Android, who, although 37 times older than the universe itself (what with time travel and all), has just enough power left in his failing body to read the message and feel better about it all before expiring. In the next novel “Mostly Harmless”, Vogons take over The Hitchhiker’s Guide (under the name of InfiniDim Enterprises), to finish the task of obliterating the Earth. Arthur loses Fenchurch and travels around the galaxy despondently, before crashing his spaceship on the planet Lamuella, where he settles in happily as the official sandwich-maker for a small village of simple, peaceful people. Meanwhile, Ford Prefect breaks into The Guide’s offices, gets himself an infinite expense account from the computer system, and then meets The Hitchhiker’s Guide to the Galaxy, Mark II, an artificially intelligent, multi-dimensional guide with vast power and a hidden purpose. Trillian leaves her daughter, Random Frequent Flyer Dent with Arthur, but she then steals The Guide Mark II and uses it to get to Earth. Arthur, Ford, Trillian, and Tricia McMillan (Trillian in this alternate universe) give chase & follow her to a crowded club, where an anguished Random accidentally kills Agrajag. Soon afterwards, The Guide Mark II removes all possible Earths from probability, which is bad news for all the main characters, apart from Zaphod, who were all on Earth at the time. The Author Eoin Colfer (Artemis) has also written a sixth instalment entitled “And Another Thing”, which sees the characters awoken from virtual reality as death rays bear down on Earth before being picked up by Zaphod and joined by Bowerick Wowbagger, the Infinitely Prolonged and Thor to deal with the Vogons who are heading to the planet Nano in order to destroy a colony of people who escaped Earth’s destruction. The Hitchhikers Guide to the Galaxy been adapted into a humourous radio program, a “trilogy” of five books, a 1981 six part science fiction television series, Featuring many of the actors from the radio series and a 2005, film starring Martin Freeman as Arthur, Mos Def as Ford, Sam Rockwell as Zaphod Beeblebrox and Zooey Deschanel as Trillian, with Alan Rickman providing the voice of Marvin the Paranoid Android (and Warwick Davis acting in Marvin’s costume), and Stephen Fry as the voice of the Guide/Narrator. Between 2004 and 2005, BBC Radio also broadcast a series based on the third fourth and fifth novels and DC Comics published a comic book adaptation. Many Italian-Americans observe Columbus Day as a celebration of their heritage, the first occasion being in New York City on October 12, 1866. The first statewide Columbus Day holiday was proclaimed by Colorado governor Jesse F. McDonald in 1905, and it was made a statutory holiday in 1907. In April 1934, and President Franklin Delano Roosevelt also proclaimed October 12 a federal holiday under the name Columbus Day. Since 1970 the holiday has been fixed to the second Monday in October, coincidentally exactly the same day as Thanksgiving in Canada. It is generally observed nowadays by banks, the bond market, the U.S. Postal Service, other federal agencies, most state government offices, many businesses, and most school districts. Some businesses and some stock exchanges remain open, and some states and municipalities abstain from observing the holiday. The holiday also coincides with the anniversary of the United States Navy (founded October 13, 1775), and thus both occasions are observed by the Navy (and usually the Marine Corps as well) with either a 72- or 96-hour liberty period.The date Columbus arrived in the Americas is also celebrated in many countries in Latin America as Día de la Raza (“day of the race” or “day of the [Hispanic] people”), commemorating the first encounters of Europeans and Native Americans. The day was first celebrated in Argentina in 1917, Venezuela and Colombia in 1921, Chile in 1922, and Mexico in 1928. Some Native Americans formally celebrate Indigenous Peoples’ Day instead of Columbus Day. One way this occurs is a sunrise ceremony on Alcatraz Island in the San Francisco Bay. In 2014, the city council of Minneapolis, Minnesota, officially recognised Indigenous Peoples’ Day along with Columbus Day. Seattle, Washington also officially recognizing the holiday. In 2014, Red Wing, Minnesota, replaced Columbus Day with Chief Red Wing Day to honor Hupahuduta, the Dakota leader known as “Red Wing” and Indigenous Peoples’ Day is recognized in place of Columbus Day at Minnesota State University, Mankato. In 2015 Grand Rapids, Minnesota, passed a resolution recognizing Indigenous Peoples’ Day and Traverse City, Michigan, passed a resolution recognizing Indigenous Peoples’ Day on February 2. St. Paul, Minnesota, passed a resolution recognizing Indigenous Peoples’ Day in place of Columbus Day and Portland, Oregon and Albuquerque, New Mexico have adopted similar resolutions. Ricky Wilson, the former guitarist withThe B-52’s tragically died On October 12, 1985 from an AiDs/HIV related illness, at the age of 32. He was born 19 March 1953. The B-52s were formed in Athens, Georgia in 1976. The original line-up consisted of Fred Schneider(vocals, percussion, keyboards), Kate Pierson (organ, bass, vocals), Cindy Wilson(vocals, bongos, tambourine, guitar), Ricky Wilson (guitars), and Keith Strickland(drums, guitars, synthesizers, various instruments) and cowbell player, poet and vocalist Fred Schneider played an impromptu musical jam session after sharing a tropical Flaming Volcano drink at a local Athens Chinese restaurant. Other ideas they had to name their band were the “Tina-Trons” and “Felini’s Children”. When they first jammed, Strickland played guitar and Wilson played congas. They later played their first concert (with Wilson playing guitar) in 1977 at a Valentine’s Day party for their friends. The band’s name comes from a particular style of beehive hairdo which resembles the nose cone of the aircraft of the same name. Keith Strickland suggested the name after a dream he had had one night, of a band performing in a hotel lounge. In the dream he heard someone whisper in his ear that the name of the band was “the B-52s.” The band’s quirky take on the new wave sound of their era was a combination of dance and surf music set apart from their contemporaries by the unusual guitar tunings used by Ricky Wilson and thrift-store chic. Their first single, “Rock Lobster”, recorded in 1978, was an underground success, which led to the B-52’s performing at CBGB and Max’s Kansas City in New York City. A rerecorded version of Rock Lobster was released as a single. In the UK and Germany it was backed with Running Around (Instrumental), which appeared on their second album Wild Planet. The buzz created by the record in the UK meant their first show in London at the Electric Ballroom, London, was packed in anticipation, with many UK pop stars such as Sandie Shaw, Green Gartside from Scritti Politti, Joe Jackson, and others in attendance. In Canada, released on the Warner Bros. label, the single went from cult hit to bona fide smash, eventually going on to reach the No. 1 position in the RPM-compiled national chart on May 24, 1980. After taking a one year absence from their musical careers in 1984 The B-52’s regrouped in 1985 to record Bouncing off the Satellites, their fifth studio record, and in January of that year they performed in Brazil, at Rock in Rio; their largest crowd ever. During the recording, guitarist Wilson had been suffering from AIDS/HIV-related health complications. None of the other band members were aware of his illness. In an interview, fellow band member Kate Pierson stated that Wilson had kept his illness secret from his fellow band members because he “did not want anyone to worry about him or fuss about him.” Cindy Wilson was devastated by her brother’s death, and her bandmates too being depressed about Ricky’s passing, the band went into seclusion and did not tour to promote their album nor the group, prompting a hiatus from their musical careers. In 1987 they released a public service announcement in the style of The Beatles’ Sgt Pepper’s Lonely Hearts Club Band album cover on behalf of AMFAR (The Foundation for AIDS Research).